The purpose of the WalkwithGod.com website is to be a place where the seeker can learn what it means to walk with God and find resources for growing in a deeper relationship with God experientially.To that end, we offer articles on various topics related to your walk with God, Bible studies, Christian news, and other related material. It is our goal to be a blessing to you. We appreciate your feedback and encourage you to let us know if an article is particularly helpful to you. 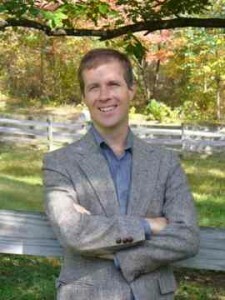 The primary author at WalkwithGod.com is Craig Thompson. Craig is a US resident who began seeking to fulfill a ministerial calling in his teens and has been privileged to serve in a variety of capacities including adult and youth Sunday School teacher, interim youth leader, Puppet Ministry Team director, and other “as needed” roles. Craig has taught discipleship material and practical/doctrinal seminars and lessons in several mission settings including Trinidad, Haiti, Scotland, England, Brazil, Zambia, and Nepal. I am in the process of getting my first book published. It is called: Suddenly Senior My Walk in Faith. It is about me as a Jewish woman age 58 faced with a family crisis so intense that I fell to my knees and accepted Christ into my life. Without having ever read a word of the New Testament and only the first five books in the Old Testament that are part of the Jewish Torah, I began a process of change that amazed me and made me more Jewish than I ever was before receiving salvation. I am also able to worship and join a church in North Carolina where I now reside. I would love to send you a copy when the book is published so you can see how God transformed me. I have never known about your website until today and came upon it by accident. I look forward to hearing from you. In Christ with Love & awe. Did you ever get the book finished yet? Thanks for the message at the conference in July. I learned a lot at the conference!